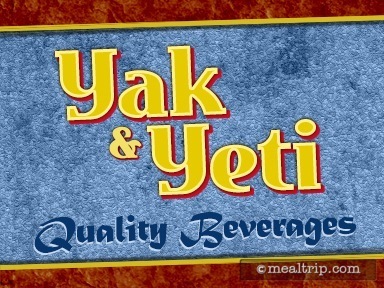 The Yak & Yeti™ Quality Beverages window is located on the side of what's known as the Yak & Yeti™ Local Food Cafes. It's basically where one of the seating areas for the Local Food Cafes is located. As you may have guessed by the name, the location serves a few specialty cocktails and a few more craft beers. What's not as well known, is that they also have a couple of Asian inspired items, in the form of a sandwich and a salad. The specifics of those couple of items change seasonally, but it's worth checking into if you pass by. Sometimes these smaller locations, have some of the more interesting food options. What??? There are no reviews for this location!